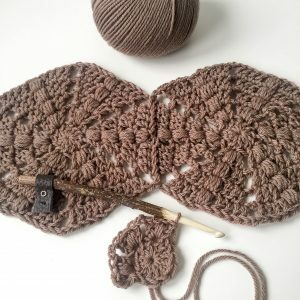 Apparently I crochet faster than I type up blog posts, haha, because already I have another finished project to share with you. 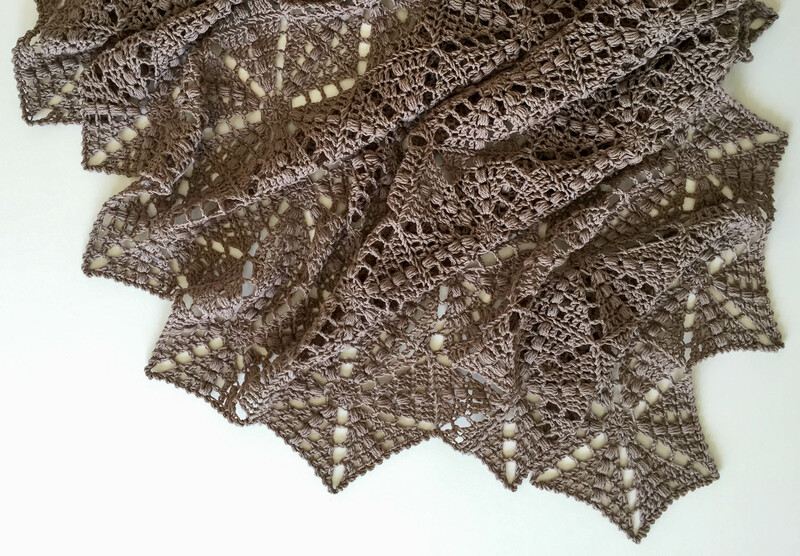 It’s one of my own very favorite patterns from my book, and I believe this is the 4th one I’ve made. 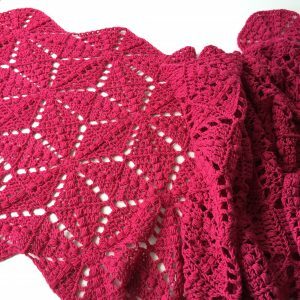 It makes me so happy to know I’m not the only one liking this shawl: if you browse the “Eindeloos Haken”-hashtag on Instagram, you’ll find quite a few beautiful versions of “Ursula”. 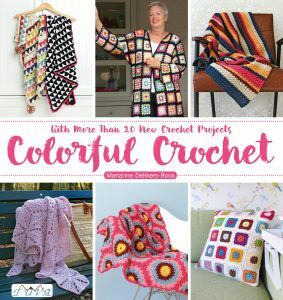 Funny story: the pattern almost did not make it to the book! 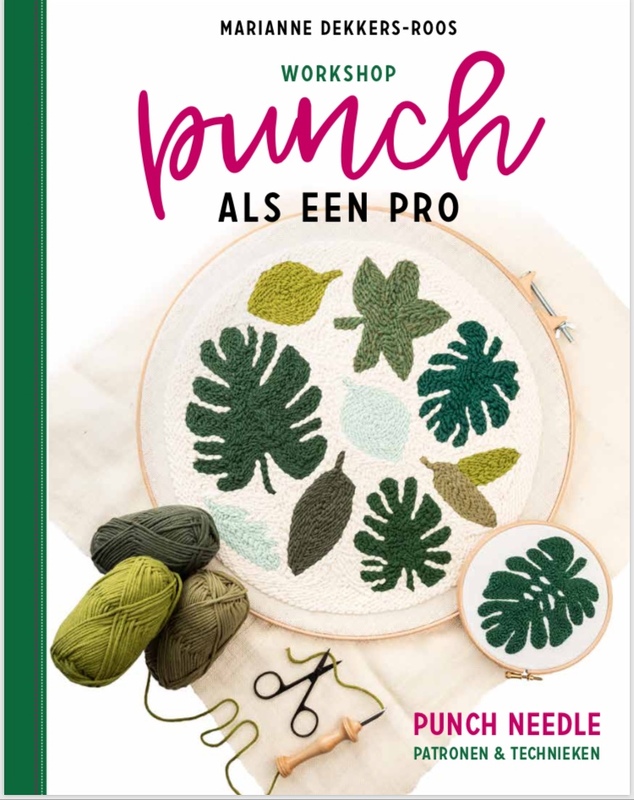 All pages for the book were already allocated for by the time I had figured out the pattern, but… my fabulous publisher decided to ‘just’ add more pages. 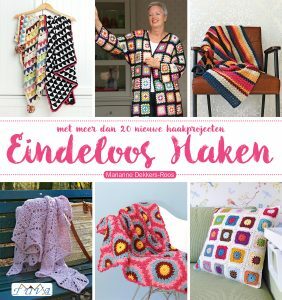 They too loved the design, and thought it absolutely needed to be part of “Colorful Crochet” / “Eindeloos Haken” / “Renkli tig Isleri”… phew! Very glad they did! 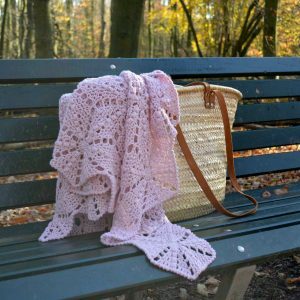 The pale pink one that you see in the book (and here ↑) is the one I wear a lot myself, and another – a bit less – pale pink “Ursula” was part of a “Craft as Therapy”-giveaway, and now lives in Spain. My third “Ursula” is more of a fuchsia and was a present for my mom for her birthday last year. 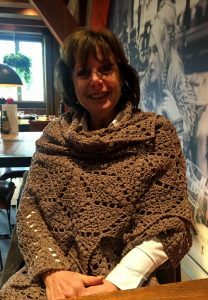 And, finally, the Ursula whom the shawl was named after – my sweet, supportive, lovely and best friend Ursula – owns one too. About time, right? 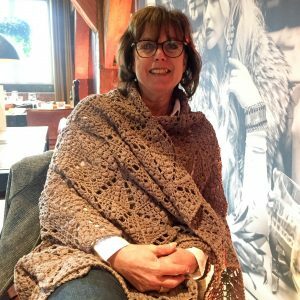 I gifted her the shawl last week, and I sooo loved her being truly and honestly very happy with it! All the reward we makers need, don’t you think? I have to say: even these quick snap shots show how beautiful it really looks on her; the color is marvelous and “so her”! The first three “Ursula’s” were crocheted with my beloved DMC Woolly Merino, and Ursula’s “Ursula” 😉 is crocheted with a 100% merino superwash by “Performance Yarns”. 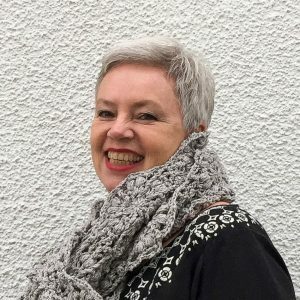 A while ago, the lovely people of “Performance Yarns”, a new-to-me Bulgarian yarn company, asked me whether I would like to try some of their yarns. Well… YES, please! 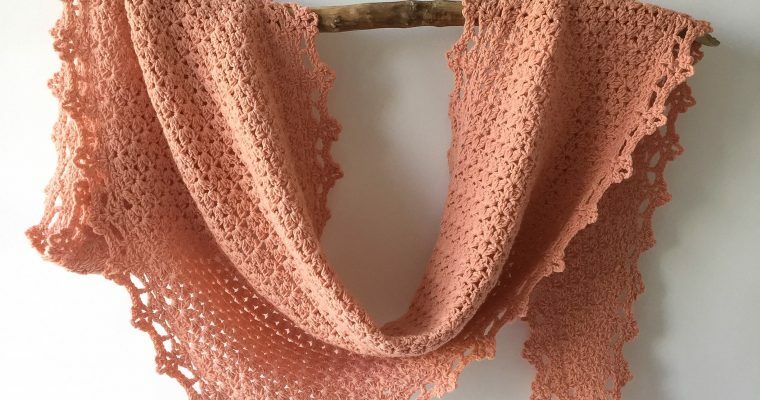 When I saw their “Simply Wool” and the delightful colors it comes in, I knew right away this would be a perfect fit, and Ursula would love the dark beige color (number 244). 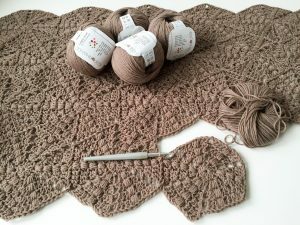 For the sizable 45 hexagon version of “Hexagon Shawl Ursula” I needed 12 balls of the “Simply Wool”, and crocheted with a 7 mm hook. 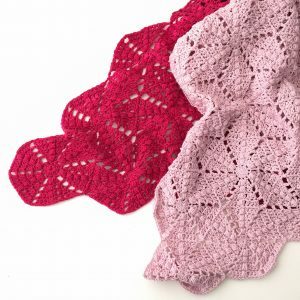 I love the stitch definition the yarn gave – it most definitely added to the beauty of the shawl. Un joli rendu avec ces assemblages. Merci pour ce partage.